Data is messy. Bigger data is messier. You want to focus on the results. Our data pipeline engineers make that possible by doing the dirty work of cleaning, processing, formatting, and loading your data, at any scale. We carefully preserve attached project, building, or program data for further specialized analysis. During this process, we audit your data for common issues and work with you to get it into the best shape possible. Energy data straight from the source. Some industry members do not have ready access to energy data. OpenEE can help get this data for you. We manage access to multiple third-party utility data access programs. 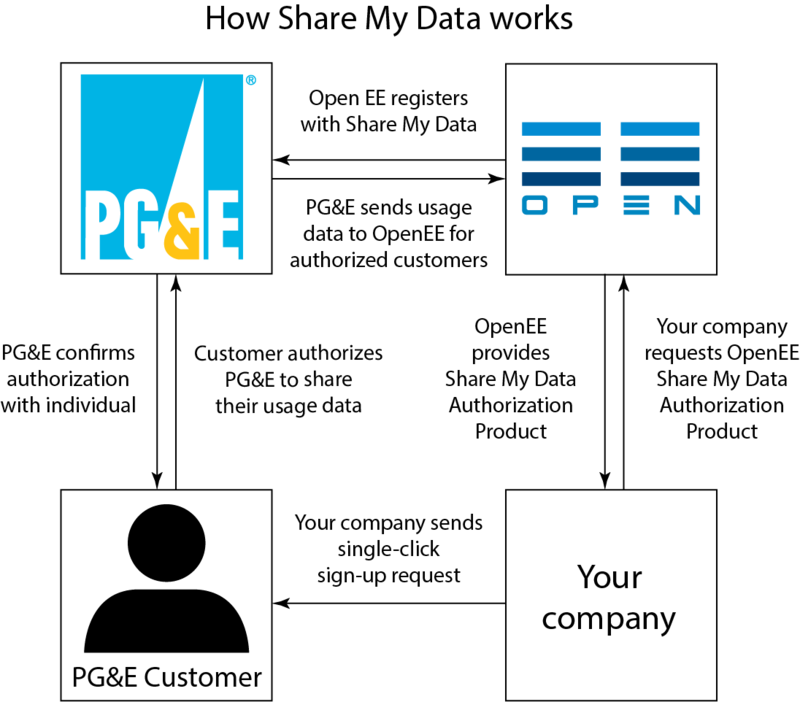 One of these is a specialized PG&E Share My Data connector product. As authorized Share My Data providers, we can provide you and your customers with single-click system for data authorization. That process is shown in the chart to the left. The data analysis products are powered by a powerful charting backend which collects metering results in readily-accessible format, attaching your custom data. The charting backend powers a sophisticated and configurable charting frontend which can be customized with your data for any number of dashboard consumers. 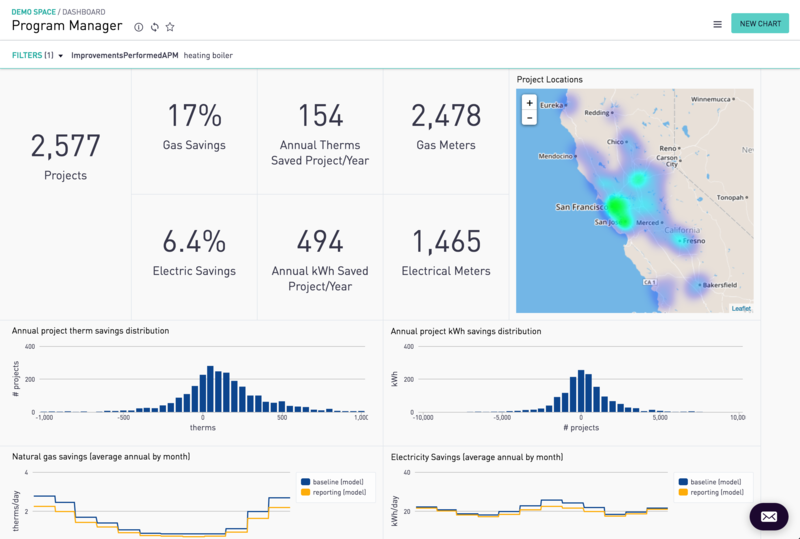 Dashboards are seamlessly embeddable and endlessly customizable. Some users prefer a high-level summaries of OpenEEmeter results. Others prefer a lower-level granular look at their data, with precise filtering and drill-downs. Both of these - and everything in between - are readily available behind a customizable access-controlled login system for sharing dashboards with important stakeholders such as contractors, program managers, or executives. The science of the OpenEEmeter for everyone. The true power of the OpenEEmeter is its openness and replicability. The data science OpenEEmeter product harnesses this by making it as easy as possible to run on your own machine. This is invaluable for replicating results, understanding the core algorithms, or validating alternative approaches against sample datasets that we provide -- both real and constructed. The Data Science product takes inputs in a straightforward CSV format and helpfully suggests changes if data isn't correctly formatted. Users can also propose changes to or fixes for the core OpenEEmeter software from within the data science product.